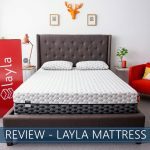 Casper Wave Mattress Review - Best Contouring and Support in 2019? Have you been looking for a luxury mattress that is conveniently delivered to your doorstep? One of the largest suppliers of bed-in-box mattresses have created a new higher-end product with innovative features that will have you smiling from convenience and a great night’s sleep. Casper uses precision cut channels in their newest bed to further relieve pressure and provide support. This type of construction is rare to foam mattresses, which really makes it stand out. 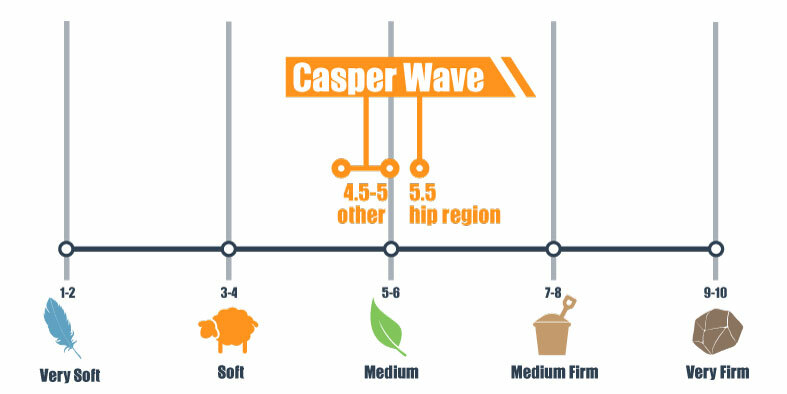 This in-depth review of the Casper Wave is based on our scoring system that includes characteristics such as support, comfort, quality, and value. Only have time for the highlights? Read the summary here. Use "SLEEPADVISOR" coupon code at checkout or click the button below. Want proper alignment. The innovative construction is designed to ensure your shoulders and hips receive enough support and pressure relief. Need a bed that keeps its support over time. Due to Resilient foam with Supportive Gel in the hip region and precision cut channels in the base, this bed will retain its supportiveness for years into the future. Want a good night’s sleep, no matter the position. This bed caters to all positions, making it especially great for couples with different sleep styles or combination sleepers who have a hard time finding the right fit. Are on a tight budget. The Wave is priced slightly higher than other bed-in-box models. However, the unique design, quality construction, and luxurious feel allows it to compete with luxury brands at a significantly reduced price when compared side-by-side. Do you want to learn about more options on the market? If so, be sure to check out our full mattress review page. If you're on a tight budget you can check our budget picks here. 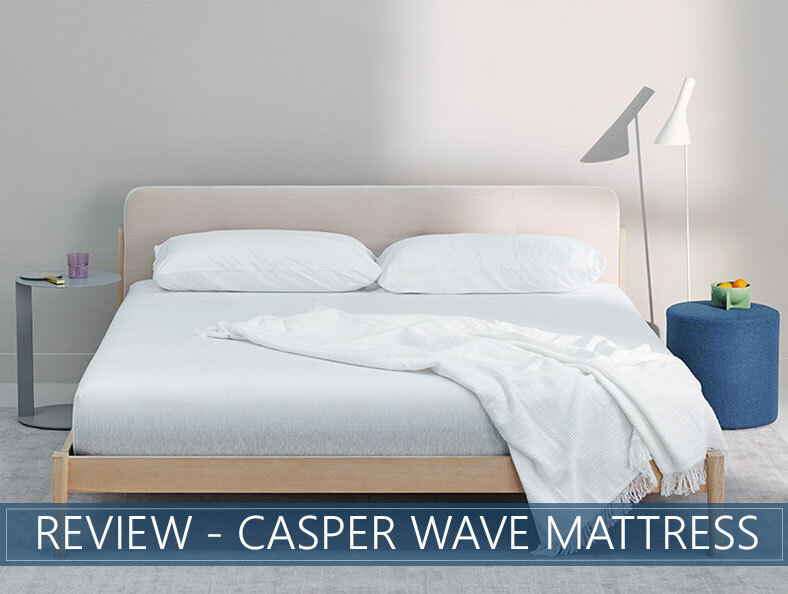 Casper Wave is a foam mattress designed for use on an adjustable or flat base (such as a platform bed or slatted frame), which the company also sells. Taller than their original product, it is 13 inches in height. It comes conveniently delivered to your door (compressed in a box), or with free white glove delivery service. The comfortable, thick humidity-fighting wool cover that surrounds it feels and looks like a soft sweatshirt that helps keep you sleeping cool. It zips off for easy cleaning and resists tearing and wear when pulled. Beneath the cover, there are five layers that are designed with strategic precision cutouts that comfort the body and promote proper ergonomic alignment. The first layer is made from 1-inch of Casper’s hypersensitive and virtually weightless “Flo foam.” The open cell structure helps to keep the sleeper cool throughout the night. In addition, this adds to pressure relief. The second layer is a 1.5-inch latex level. Slightly firmer than the top layer, it also helps relieve pressure points. The third layer is 1.5 inches of memory foam, which has been strategically placed deeper into the mattress. Unlike traditional memory mattresses that sink sleepers deep within, moving this layer beneath the latex enables people to move around comfortably on top while remaining in a deeper cradle. This strategy also helps to keep the sleeper cool. The fourth layer is a 1.5-inch transition layer. Firmer than above levels and softer than the base, it provides a smooth handoff from soft pressure relief to support. Notches have been cut out of the bottom of this layer in the hip region as indentations for the Supportive Gels in the base layer to be inserted. This flexible support feature keeps hips and spine comfortably aligned without dipping too deep. The base layer is 7.5” of poly foam that serves as the support level. It has unique precision-cut channels that are designed to contour to your body shape and help with alignment and pressure relief. Gels embedded into the top of this foam administer further hip support. This feature works to ensure the comfort of nearly every type of sleeper. 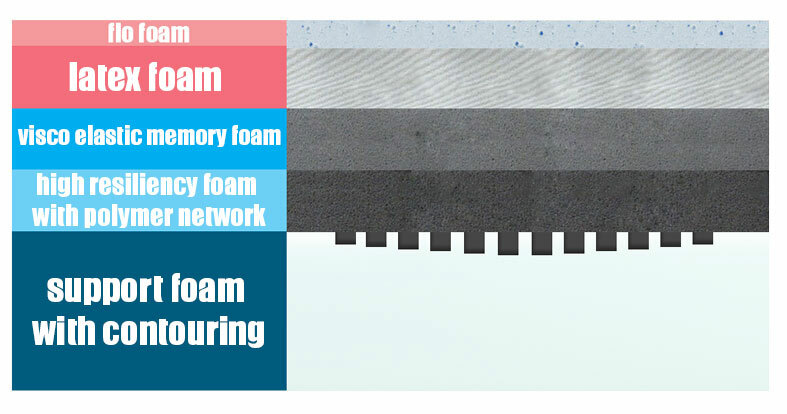 It should be noted that this type of construction is not common in foam beds, making the Wave stand out from the competition. In addition, the configuration of materials helps to fight against the middle getting too soft and losing support over time. A medium-level firmness (see firmness guide) is comfortable for most individuals because it tends to provide enough support and pressure relief, no matter the sleeping position. Due to the construction mentioned above, there are two distinct firmness levels. On a 10-point scale with 10 being the firmest, the hip region is a 5.5 and the rest of the Wave is a 4.5 to 5 level of firmness. The Wave is softer than the brand’s original product. While you can plan on melting into the bed slightly, it is still easy to move around. To the touch, you will notice the soft hypersensitive top layer seem to fade away. Pushing deeper into it, you will feel the increasing layers of firmness down to the base layer. Although there is a memory foam layer, the Wave is not slow-responding. Back sleepers can reap the benefits of a balanced level of lumbar support and hips sinking into the mattress just so. Stomach sleepers benefit from the elastic polymer inserts. While this type of sleeper can sink down uncomfortably in other foam brands, the inserts help to reinforce support and prevent the spine from falling out of alignment. Side sleepers will notice the precision cuts in the upper region of the mattress and the elastic polymer provide the pressure relief they need. This is a key feature for side sleepers shopping around. At the same time, their concentrated weight should not sink too far down. While significantly heavier individuals may sink deeper into the mattress than is comfortable, we believe this bed would be a good fit for nearly every sleeper. When considering the Wave, remember that there is a 100-night risk-free trial period. Unlike innerspring mattresses that have a lot of bounce, foam brands excel at minimal motion transfer. They are able to isolate movements instead of shifting the area around where the Casper Wave is touched, and it gets high marks when it comes to reducing motion transfer. If you have a partner, you will not be disturbed if they shift or get up in the middle of the night. This is especially good news for the light sleepers among us. Historically, foam mattresses do not have as much edge support as innersprings. There are two types of edge support qualities to look for when purchasing, which is the feel of sitting on the edge and while lying down. When sitting on the edge, you will sink slightly. While this is to be expected, it is rarely a problem since most of your time will be spent lying down. Likewise, you will notice compression when lying on the edge. Trial Period – 100-night trial period with free shipping. If you decide it is not the right fit, Casper will remove the bed from your home and provide a full refund. Most returned mattresses are donated to local charities. Warranty – 10-year limited warranty. Free White Glove Delivery – A delivery service can hand deliver your mattress to the room of your choosing. Residents of select cities can schedule a 2-hour installation window. CertiPUR-US® Certified – The foam stays within ozone and safety guidelines for harmful and cancer-causing chemicals. OEKO-TEX® Certified – The latex meets a minimum global threshold for chemical standards. The pioneering Casper brand has created a mattress that sleepers of all varieties will love with the Wave. The Casper Wave’s unique construction and enhanced ergonomic support is a mattress we believe would be a great fit for most sleepers. While comfort is subjective for every person, the company’s attention to the needs of every sleep position is evident. Although this luxurious bed is higher in price when compared to their original product, it is significantly less expensive than similar mattresses found in traditional stores. With attention to areas such as shoulders, back, and hips through the zoning of materials, we think this mattress is one you should consider if you want a quality night’s sleep and consistency over time. What's the Best Time of Year to Buy a Bed?